With a background and education in architecture, Shawn Marshall came to painting through her 3D studies in architecture and sculpture. She earned a Master of Architecture with a minor in Fine Art from Cornell University in 1996 and a Bachelor of Architecture from the University of Kentucky in 1992. Her interest and appreciation for art began as a very young child growing up overseas with her family as a “third culture kid.” This allowed her opportunities to see a vast ar-ray of art and architecture all over the world. She currently lives and works in Louisville, Ken-tucky, where she is a high school visual arts teacher. When Marshall moved back to Kentucky as an adult, she became a member of “ENID, Genera-tions of Women Sculptors,” a collaborative of women sculptors named after the first known fe-male sculptor in Louisville. She participated in numerous exhibits with ENID and had a solo ex-hibit of her sculpture work in 2004. 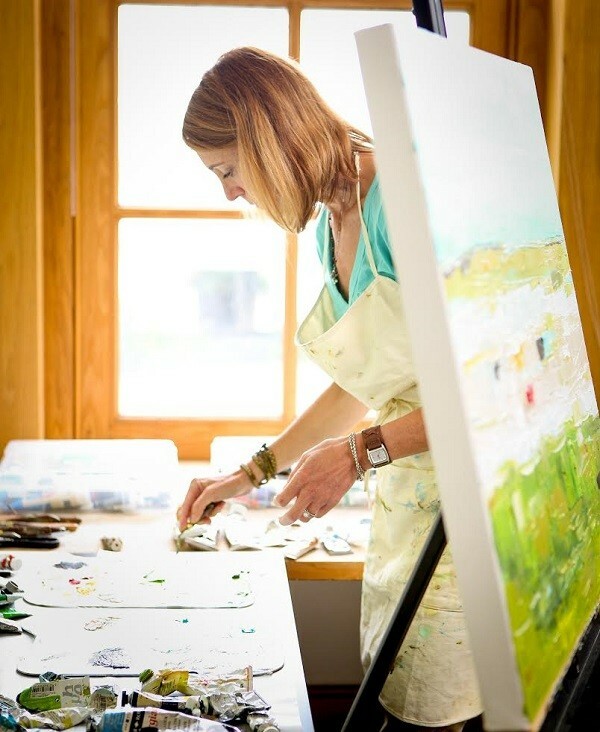 After leaving the field of architecture 10 years ago to become a teacher, she began to focus solely on painting and has since received regional and national recognition and awards for her landscape paintings. Along with New Editions Gallery, she is rep-resented by Craft(s) Gallery & Mercantile in Louisville and Sozo Gallery in Charlotte, NC. She has work in Corporate collections including Brown-Forman, PNC Bank, Commonwealth Bank, University of Kentucky, and others. She also has work in numerous private collections and her website is www.shawnlmarshall.com.